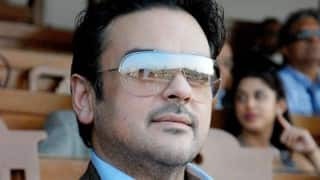 Adnan Sami (full name Adnan Sami Khan) is an Indian singer, musician, music composer, pianist and actor popularly known for his songs in Hindi Movies as well as for his notable performance with piano. He is known for his western classical/ semi classical notes, jazz, rock and pop music and he is the first person in history to play Indian classical music on piano. 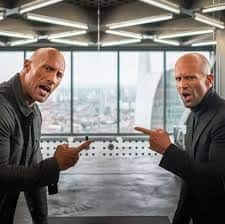 He is also known for playing over 35 instruments and a US based keyboard magazine has described him as the fastest keyboard player in the world. 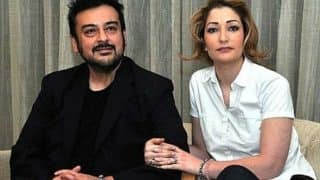 Adnan Sami was born to a Pakistani father Arshad Sami and Indian Mother Naureen Khan who belonged to Jammu on 15th August 1973 in London, United Kingdom. His father had his career in Pakistani Air Force and later served as a diplomat and served as Diplomatic Ambassador to 14 countries and was a grade 22 Bureaucrat, having served as Federal Secretary. 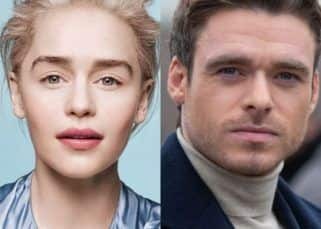 Sami was born and brought up in UK completed his schooling from the Rugby School in West Midlands, UK and later completed his graduation with a Bachelor's Degree in Journalism and Economics. 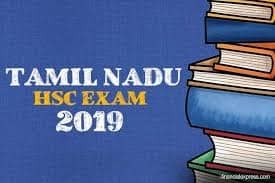 He went on to complete his law degree (LLB) from the King's College affiliated to University of London and qualified as a barrister from Lincoln's Inn, England. 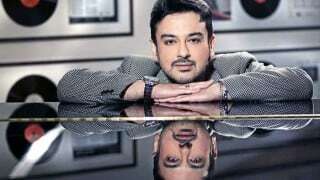 Adnan Sami, since his childhood, had deep interest in music and at the age of five he started playing piano. By age 9, he had composed his first piece of music. 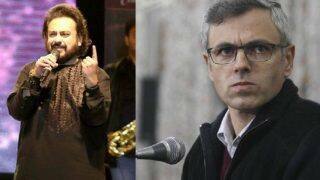 In his school days, when Sami visited India during the school vacations, he began to take Indian classical music lessons from the 'Santoor' Maestro Pandit Shivkumar Sharma. At the age of ten, renowned singer Asha Bhosle spotted talent in him at an R.D Burman concert in London and encouraged him to take music as a career. As a teenager he started performing piano on the TV program in Stockholm. Soon he started getting acclaim for his talent and he was described as the fastest man on keyboard in the world by a US based keyboard magazine. At the age of sixteen, he was approached for writing a song for famine hit Ethiopoa for which he received a special award from the UNICEF. The song became a smash hit single in the Middle East and was the number one song in the music charts. He started his career with the formal album 'The One & Only' in 1989 and it was a classical album on the piano and he was accompanied by Table Maestro Zakir Hussain. 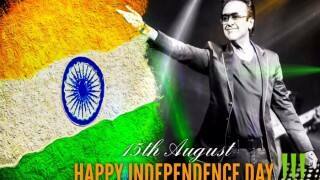 His first vocal solo album Raag Time was released in 1991 and it became a huge hit in Pakistan. The track of the album 'Teri Yaad' was loved by the masses in Pakistan. 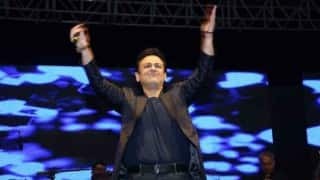 Later in 1994, he for the first time composed music for a film and later in 1995, he composed music as well as appeared as a lead in the Pakistani movie Sargam. 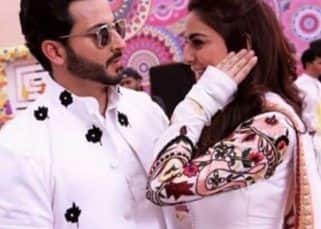 The film and its music is included in one of the best selling albums of Pakistan and the music as well as the film continue to be a milestone in Pakistan's film and musical history. Later, Sami was also included as the jury member for 'Voice of Asia' competition at Kazakhstan. He rose to popularity in the year 2000 when he teamed up with Asha Bhosle to release the love song album titled 'Kabhi to Nazar Milao'. He composed the music himself and the album became a blockbuster and sold more than 4 million copies in India alone. 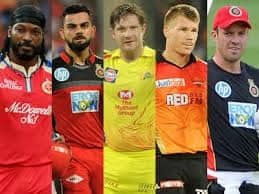 The specialty about Sami's album was that it always featured Bollywood celebrities in the video songs. The album 'Kabhi to Nazar Milao' featured model Aditi Gowitrikar and a famous Indian actor Govinda and the songs were immensely popular. The album continued to be the best selling album in 2002 and 2003 and was also a huge hit in USA and Canada. 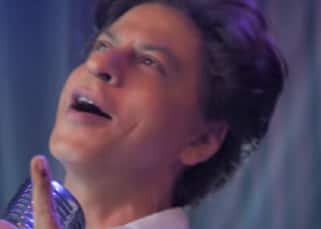 After becoming a sensation after the release of the album, he was approached by top Bollywood producers and directors like Yash Chopra and Subhash Ghai to perform the soundtrack for their films. He started to sing for Bollywood movies and in 2001, his song 'Tu Sirf Mera Mehboob' in the movie Ajnabee was a massive hit. Screen Magazine declared the song as a super-hit and called him the 'Pop Personality of the Year'. 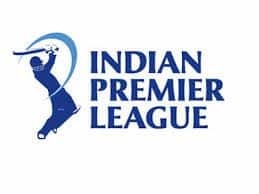 He became so popular that in 2002, Pepsi Foods made him as its Brand Ambassador in India and he hosted a series of live music concerts across cities and was also featured in the Pepsi Advertisements. He was declared as the most popular Pakistani Artist in India and reported as the most successful face in non-film music in India during 2001-02. In 2002, while his first album was still selling in India, Sami released his second album titled 'Tera Chehra'. The album featured Bollywood superstars like Rani Mukherjee, Mahima Chaudhry and Amitabh Bachchan. The album was one of the most successful albums of the year. 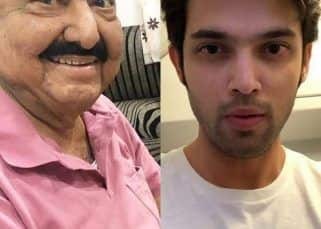 In the same year, he also performed the song 'Aye Udi Udi' in the movie 'Saathiya' and the song became immensely popular. Later, he started to sing in few Tamil movies as well. 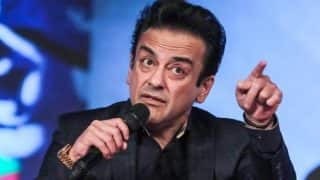 Adnan Sami was performing successfully in his career and later he also became the sole judge for the singing competition program titled 'Super Singer', but in 2005 he suffered from lymphoedema which led to a pause in his career. He was almost forgotten and completely off the media for a very long time. 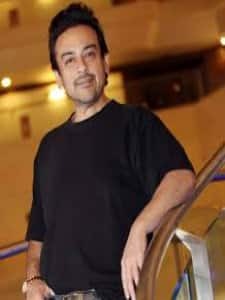 However, the media woke up to Adnan Sami quickly when he returned back to India in 2006, all slim and healthy. 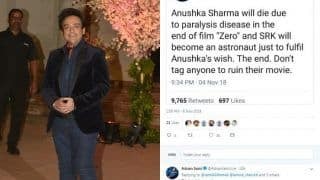 He was reported to have lost at least 160 kg and his next performance in Bollywood was in the movie 'My Name is Khan' where he sang the song "Noor-e-Khuda". 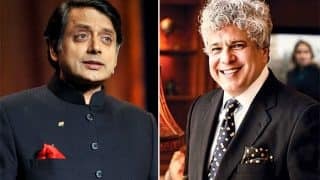 In 2008, he hosted the Indian version of the American music game show 'Don't Forget The Lyrics' and the Indian version was titled 'Bol Baby Bol'. Adnan in his career, has composed music for several Hindi films which includes films like Khubsoorat, Lucky: No Time for love, Sadiyaan, Shaurya, etc. Adnan has been married thrice in his life. He first married Zeba Bakhtiar in 1993 and got divorced in 1997 and later in 2001 he married Sabah Galadari and the couple got divorced in 2009. Then in the year 2010, Adnan married Roya Faryabi, a German of Afghan origin. In May 2015, he submitted a request to the Indian Home Ministry for an Indian Citizenship and his request was approved in December 2015. He officially became the citizen of India from 1st January 2016. 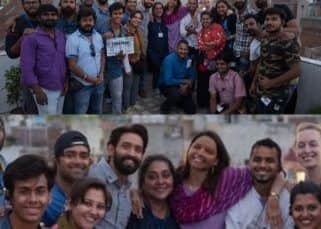 His last release was the song "Bhar do Jholi" in the super hit movie Bajrangi Bhaijaan released in 2015. 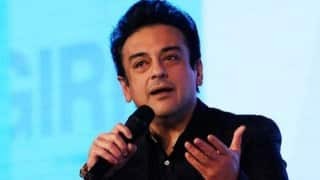 Beef Ban in India: Adnan Sami gives hard-hitting reply to Pakistani trolls with his tweet on Moo! 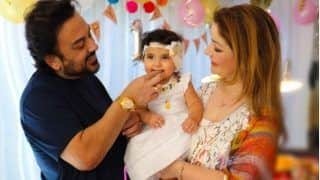 Singer Adnan Sami and his third wife Roya blessed with a baby girl! 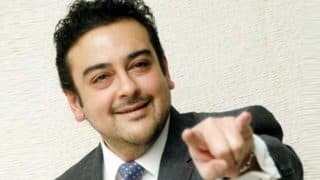 Adnan Sami uninstalls Snapchat for India, gets trolled by Pakistanis and gives epic reply! 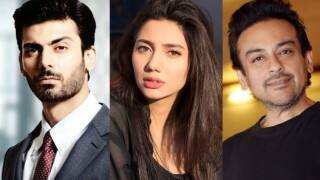 Should Fawad Khan, Mahira Khan and Adnan Sami be thrown out of India? 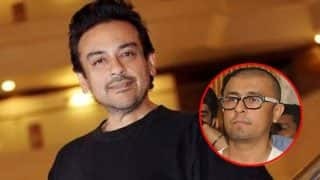 Adnan Sami celebrating birthday today as Indian citizen!